How do I buy a Carvel Corporation Franchise? There has never been a better time to become a Carvel Franchisee. We enjoy brand recognition of more than 90% in our core markets. Our guests show their love and loyalty on social media sites. Our products constantly show up in new TV shows and movies. We are a part of people's lives, interwoven in the fabric of today's culture. Guests have traveled hundreds of miles for our handmade Carvel cakes. We've received messages from fans begging us to bring their favorite ice cream brand to their areas. Which is why we continue to build upon our history and signature products. Open Carvel Corporation in any of these available states: CT, MA, NJ, NY, RI. Carvel… America’s freshest ice cream has been serving up smiles for over 80 years. From soft serve and scooped ice cream to cakes and take-home treats, Carvel world famous ice cream puts a smile on every face. There has never been a better time to become a Carvel franchisee. Carvel enjoys brand awareness of over 90 percent in its core markets and continues to build its reputation, with more than 400 stores in 25 states, five international markets and Puerto Rico. Our locations are supported by one of the most experienced teams in the business. You’ll work with successful business consultants who understand marketing, business development and operations. Together, we work to continuously raise sales while keeping costs low. The opportunity is now. 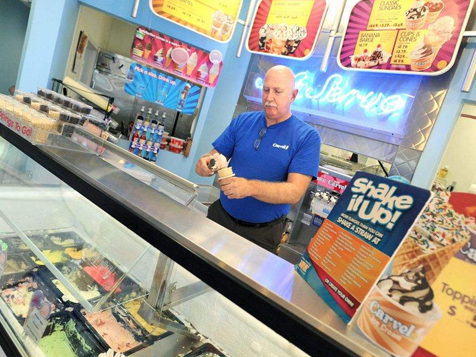 Join Carvel... America’s Freshest Ice Cream® today! We are seeking highly motivated, experienced professionals with prior restaurant and/or business experience to grow with Carvel. 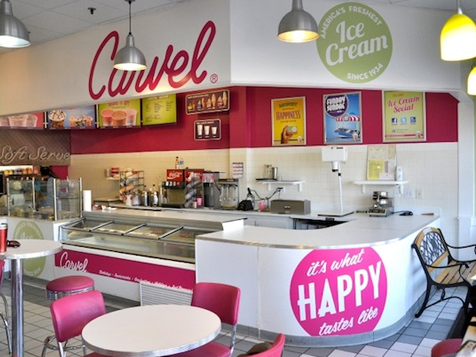 Carvel presents Franchisees with two platforms – Full Shoppes and Express Shoppes. The two platforms allow flexibility to open our newly designed shoppes, in a wide array of venues. 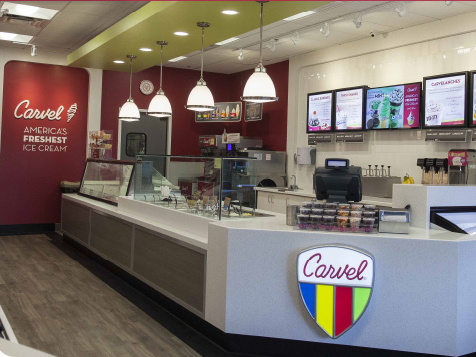 CARVEL FULL SHOPPE – Now seeking applications in New York, New Jersey, Connecticut, Massachusetts and Rhode Island. SITE CRITERIA: 800-1,600 sq. ft. MENU: Complete line of fountain treats, take-home novelties and cakes. VENUE TYPE: Street-side, end cap preferred with at least 15’ frontage. CENTER CRITERIA: Anchored neighborhood centers, high-visibility convenience centers or high-activity street-front locations. LOCATION: High visibility to street and center traffic, at least 10 parking spots are preferred near space and ability to maximize Carvel signage. SITE CRITERIA: 100-300 sq. ft. MENU: Limited menu including vanilla and chocolate soft serve ice cream, sundaes, shakes and Carvelanche® treats. Comprehensive assistance in site selection, design and construction with a dedicated franchise support team. All-inclusive, certified training at Carvel College for Franchise Partners and key managers with continued corporate and on-site training. Dedicated franchise business support and access to corporate management team for business review and performance analysis. Innovative, targeted marketing plans, programs and promotions, as well as, a dedicated marketing and public relations staff to assist with marketing and media planning to deliver high-quality point-of-purchase, merchandising and local store marketing materials. Carvel Corporation is not currently active in our directory, but here are some other recommended selections for you to explore.